I have a confession to make. I have never been a particularly organised person. I was always the one with the messy bedroom when I was growing up (in fact, I still am quite untidy). I blame my creativity. Creative people are messy, according to research studies. Is this a bad thing? Well, some of the most creative people, such as Albert Einstein and Roald Dahl, had messy desks. As Einstein famously said, 'If a cluttered desk is the sign of a cluttered mind, then what are we to think of an empty desk?" Suddenly, disorganisation doesn't sound so bad. However, it's one thing having a cluttered home but another thing when being disorganised means you are not being as productive as you could be. I feel like my productivity has slipped considerably over the last few months, and understandably so. 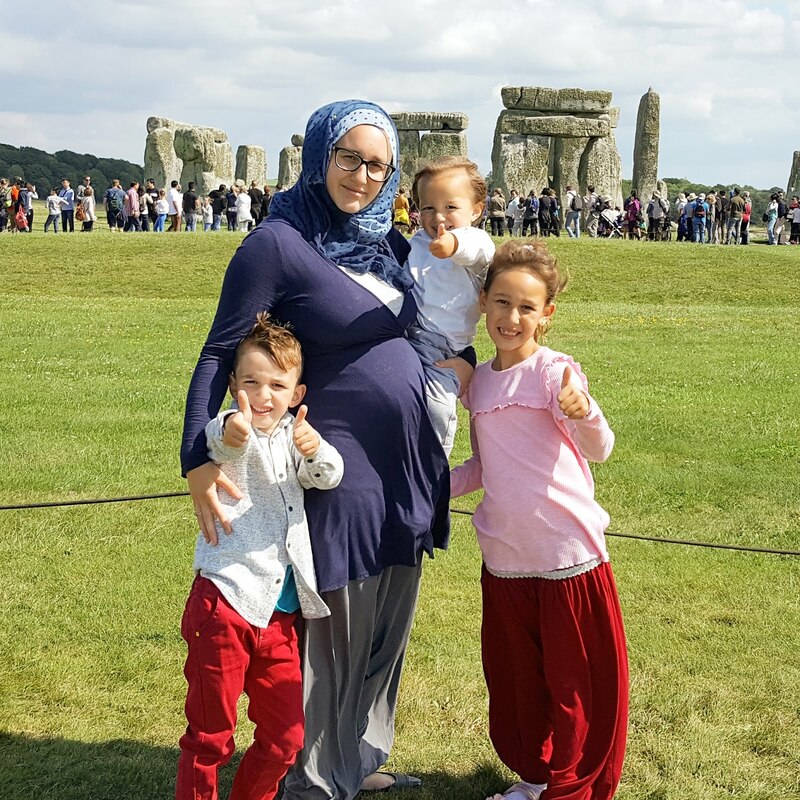 Over the last few months, I have been juggling homeschooling, home-making, blogging and pregnancy followed by recovering from childbirth and looking after a newborn. It has been a busy year, no wonder I feel like I am all over the place. However, I feel it is now time for me to get my act together and get more organised. Writing down my monthly goals is a good way for me to start. So, this month, I have decided it is time to get more organised. We have taken a break from homeschooling after the birth of my daughter at the beginning of October, so now it is time to get back into it. I am preparing my weekly homeschool plans but I need to finalise which activities my children will be doing and when. One of my aims for this month is to sort out our schedule and get back into a routine. I need to get better at planning in advance so I am not running around at the last minute trying to pull something together. I think my training as a Speech and Language Therapist has something to do with this. My training means I can easily put sessions together and adapt them without too much thought. While this is very positive, it has perhaps led me to be slightly lazy with planning our homeschool. So, this month, I will definitely be aiming to plan well in advance as I believe planning will lead to increased productivity. I need to start writing in my diary more regularly as I am prone to forgetfulness (baby brain, obviously). A diary is sure to help me remember what we are doing and when. I don't know why, but I always start the year off by writing everything down in my new diary and after I few months I just stop. Does this happen to anyone else? I know I mentioned untidiness being a good sign, but sometimes the amount of clutter can get overwhelming. Sometimes I do feel like the clutter around me can lead to my mind being so cluttered I can't think straight. Therefore, I would like to make sure my house is kept a bit tidier, particularly for the children. I feel the clutter can be problematic for them. When there is so much stuff everywhere, they can't even find the toys they are looking for and are not sure what to play with. I hope that having a less cluttered home will help the children to be more productive too. I have a copy of the Productivity Journal from Ayeina which aims to help you become more productive. The journal has four sections covering the topics of spiritual development, personal development, strengthening relationships and goals and dreams. I am going to be using this journal as an aid to get more productive over the coming months. I hope you enjoyed reading about my monthly goals. 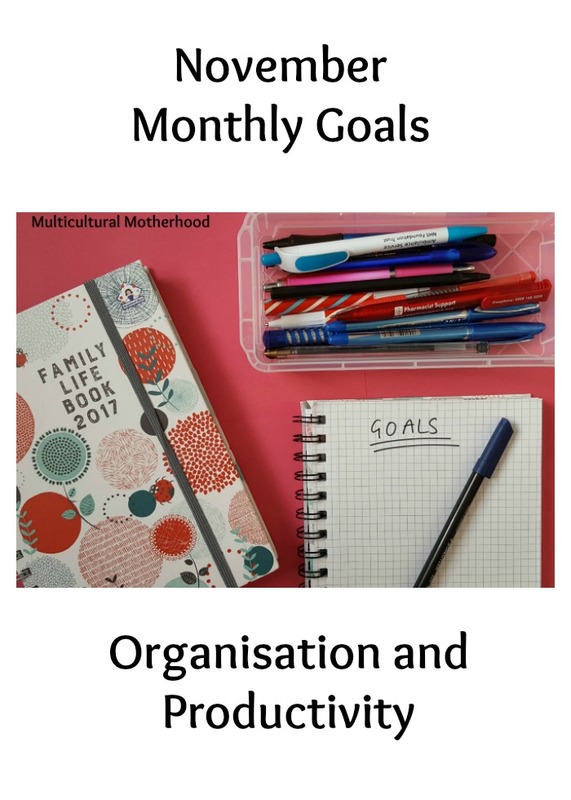 I am planning to share my monthly goals with you each month, as a way for me to organise my thoughts and also so I have something to look back on and compare to. It will help me remain accountable. Join me, if you wish, and let's see just how productive we can be! 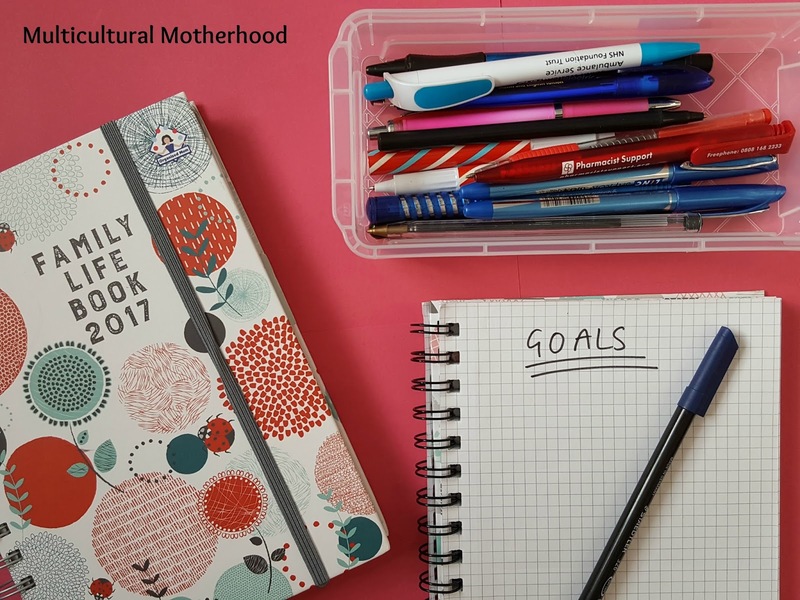 inspire other moms to know how we do it all.